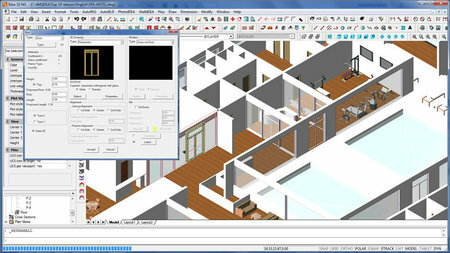 BIM stands for Building Information Modeling. While CAD software use only 2D or 3D geometry without any difference between elements, BIM software use libraries of Intelligent and Parametric objects. 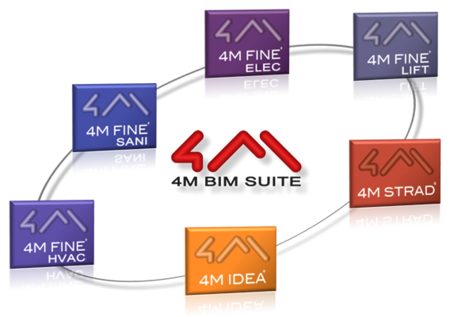 BIM software understand the logical interaction between the different types of objects and store information about these objects. BIM opens a new era for AEC professionals. They will save time while creating and modifying their projects but also by collaborating at a higher level with their partners while sharing discipline-specific contents on the same BIM model. The support of the IFC format allows you also to share your project with non-4M BIM Software like Revit®, ArchiCAD® or AllPlan® and all the BIM Engineering software you can find on the market.